Every woman should have access to quality reproductive health care services, including safe and legal abortion... We will continue to stand up to Republican efforts to defund Planned Parenthood health centers, which provide critical health services to millions of people. We will continue to oppose—and seek to overturn—federal and state laws and policies that impede a woman’s access to abortion, including by repealing the Hyde Amendment. In short, the platform advocates for taxpayer-funded abortion throughout all nine months of pregnancy for any reason whatsoever. The policy could not be more extreme than that. Democrats for Life of America (DFLA) believes the DNC’s radical position on abortion is largely responsible for the recent decline of the Democratic Party. 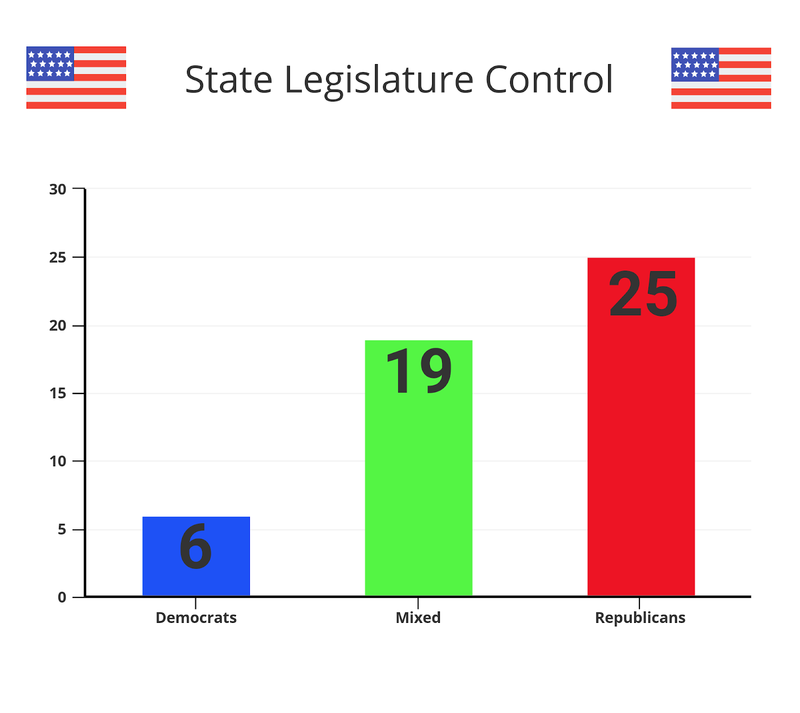 In DFLA’s position paper titled, “Open the Big Tent,” they note that 25 state legislatures are currently under complete GOP control, but only six are under complete Democrat control. The DFLA report also notes that the Democrats do not control a single legislative chamber in the South. However, there is a lone bright spot for southern Democrats. John Bel Edwards, the governor of Louisiana, is a pro-life Democrat who recently signed a bill banning abortion after 15 weeks gestational age. As DFLA notes, Democrats have completely lost control of the South, but pro-life Democrats like Edwards prove this does not have to be the case. Democrats could win more elections in the South, but they need pro-life candidates to appeal to the South’s pro-life voters. The success of Governor Edwards and the failure of pro-choice Democrats in the rest of the South confirms this.